Vampire bats. Credit: Sherri and Brock Fenton. The vampire bat's diet consists of blood. It prefers to feed on domestic animals such as cows and pigs, but when it does so, there is a risk of transmitting pathogens such as rabies. Now, a new study lead by Assistant Professor Kristine Bohmann from the Natural History Museum of Denmark, University of Copenhagen, describes a new DNA method to screen vampire bat stomach and faecal samples to determine which animals the bats have fed on blood from. Furthermore, the authors show that the technique can be used to assess the vampire bat's population structure. When the sun sets in South and Central America, the vampire bats wake up and fly out in search of prey. When the bat bites, there is a risk of transmitting diseases such as rabies. In order to control rabies transmitted by vampire bats, it is crucial to have a method that allows large-scale assessment of vampire bat prey. A new study led by researchers from the Natural History Museum of Denmark, University of Copenhagen, shows that the so-called DNA meta-barcoding technique can do just that. 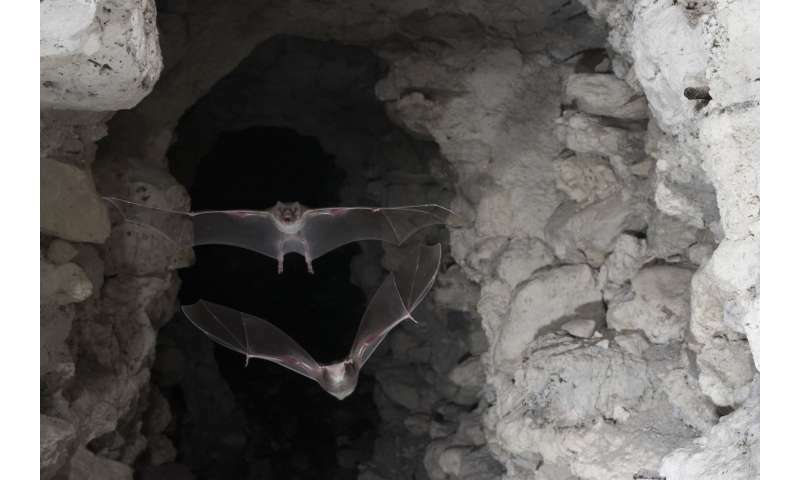 "Based on our study, in the future DNA meta-barcoding can be used to empower projections of vampire bat-related transmission risks, and this can be used to develop strategies to prevent exposure of rabies to humans and animals," says Assistant Professor Kristine Bohmann from the Natural History Museum of Denmark, University of Copenhagen. Co-author Daniel Streicker from University of Glasgow adds, "Vampire bats are an incredibly adaptable species in terms of what animals they can feed on and where they can live. As they spread into new areas due to changes in climate and land use, DNA can now tell us which animals will be at risk for rabies, opening up the possibility for more targeted vaccination and surveillance campaigns." The researchers analysed vampire bat blood meal and faecal samples collected in Peru, along the coast, in the Andes and in the Amazon. In diet studies, the DNA meta-barcoding technique is normally only used to assess diet, but in this study, the researchers went one step further and showed for the first time that the technique can also give insights into the vampire bat's population structure. This 'free of charge' data can help researchers understand how the landscape influences the connectivity of vampire bat populations, which could influence the spread of pathogens like rabies. "In this study, we show for the first time that it is possible to use DNA meta-barcoding to generate data on both diet and the predator's population structure. And we more or less get this additional information for free because the vampire bat's DNA is found in the DNA that we extract from blood meal and faecal samples," says Kristine Bohmann. "This new method to simultaneously screen many vampire bat samples for both diet and population structure is of value to future studies on vampire bat biology and for assessment of vampire bat related pathogen transmission risks. It is also of value for diet studies of other animals that can benefit from the possibility of obtaining added information." Co-author Gareth Jones from University of Bristol adds, "It is great to gain insight into both predator and prey from DNA in droppings and blood meals. Apart from feeding on domestic animals, vampire bats occasionally took blood from wild tapirs, so the method may be useful for determining the distribution of elusive mammal prey. It is also of note that we found no evidence of vampire bats feeding on humans from the DNA left over from their dinners." The article has just been published in the journal Molecular Ecology Resources.